I love maca. It’s one of those all-encompassing, adaptogenic superfoods that keeps us balanced and energized. A long time ago I filmed a video on a few foods that help balance hormones, including one of my favourite superfoods on the planet: Maca. I planned on discussing maca in greater detail but hadn’t gotten around to it until now! Maca is a root vegetable, like a potato, native to Peru. Its use dates back as far as 1600 BC for its powerfully nourishing and energizing properties. It is harvested then dried and milled down into a powder, ideally at low temperatures, to preserve its nutritional quality. I like this brand here as it’s organic and non-GMO. There are a few variations of maca in terms of colour and benefit (yellow, black, red, purple) but overall they share the same general profile. You can purchase maca raw or gelatinized. I like gelatinized maca because the starches have been removed, improving the digestibility of it. Maca can be taken as powder or in a capsule (and of course, eaten whole, too). Maca is an adaptogen. Adaptogens work with our body to help us “adapt to stress”. They nourish and strengthen our adrenals – the glands that are responsible for our stress response and secretion of hormones such as adrenaline and cortisol. Balanced adrenal glands is crucial for our ability to handle and cope with stress, which is one of the greatest benefits of maca. One of the top benefits that I tell people about maca is its role in balancing hormones. Maca is known to nourish and support the endocrine system including the thyroid gland, as well as various hormonal conditions such as PMS. Maca stimulates the hypothalamus and pituitary glands which aid in the balance of other glands including adrenal, thyroid, ovarian and testicular. “If you’re producing too much of a particular hormone, maca will regulate the production downward. However, if you’re producing too little, it’ll regulate the production upward. 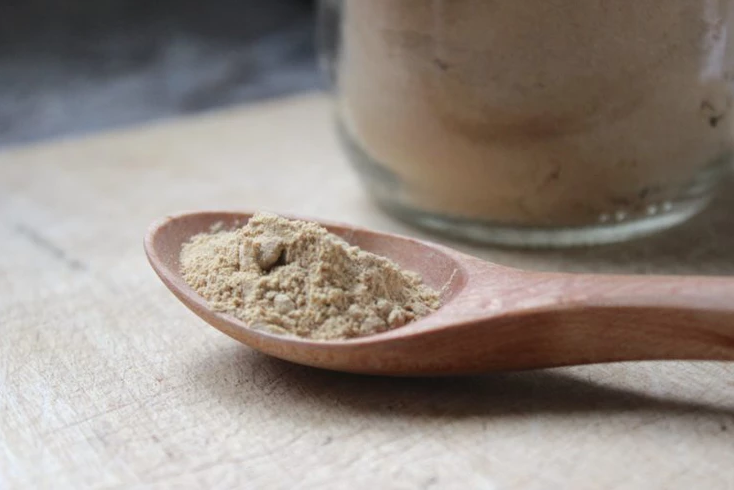 Maca is particularly energizing, and is therefore a popular choice in a morning smoothie or alternative to coffee, but without the jitters associated with caffeine. It is also known to improve and boost sexual health and function, as well as fertility. I know a couple people who swear by maca for baby making! Maca is extremely nutritious, providing us with a whole array of vitamins and minerals including B vitamins, calcium and iron. It’s rich in fibre, protein, plant sterols, and alkaloids (called macainas) which support our endocrine system. Maca is extremely versatile, and with its sweet, subtle nutty flavour can be added to smoothies or desserts like date balls or homemade ice cream. Mixing it with oatmeal, quinoa, or even pancake mix is a great nourishing and energizing addition. Maca is pretty potent – I recommend starting with 1/4 – 1 tsp. I add about 1/2 – 1 tsp of maca powder in my smoothie. I find any more than that amount makes me pretty hyped up. You should take one day off of maca per week if taken daily. Have you ever used maca before? Check out my video where I talk all about this amazing superfood and share a delicious maca smoothie!